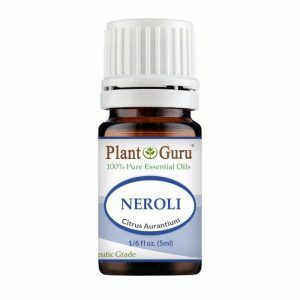 Can I Use Essential Oils Undiluted/Neat? How Should I Store My Essential Oils Once I Have Purchased Them? What Should I Do If I Get An Essential Oil, Absolute Or Extract In My Eye? Is It Safe To Apply Essential Oils, Absolutes Or Extracts Directly To The Skin? What Are The Benefits Of Incorporating Aromatherapy Into Your Life? Can Your Oils Be Ingested/ Internal Use? Can Essential Oils Be Used By Everyone? Essential oils can be extracted in a few different methods, but the four most common extraction processes are steam distillation, CO2 extraction, cold-pressed extraction, and solvent extraction. Plant matter will be processed for extracting essential oils from flowers, fruits, leaves, and more. Steam distillation is the most common method of extracting the essential oil from plant matter. This method involves steaming the plant matter of choice for a determined amount of time, under a specific pressure, and at a certain temperature so as to release the oil. The oil collected is now officially an “essential oil”, and the remaining water is sold as a “hydrosol”. This method is similar to steam distillation, only liquid CO2 is used instead of water. After the liquid CO2 and the plant matter combine, the CO2 is turned back into a gas, leaving the plant matter and essential oil behind. This provides a different, more pleasant, aroma than you would get from steam distillation, and is often the preferred method of extraction. Expression, or cold pressing, is used primarily for citrus fruits like orange and lemon, where the essential oil is obtained in tiny pockets in the peel or rind. Oils extracted by cold pressing are the most volatile of essential oils and can evaporate quickly when exposed to air. Purists don’t consider solvent extractions to be true essential oils, and they are typically labeled “absolutes.” This is due to the fact the plant material, usually flowers, are mixed with a solvent. Sometimes there is a significant amount of solvent left behind in the absolute, resulting in a less-pleasant aroma and lesser-quality end product. Traditional aroma therapists generally avoid absolutes, and don’t recommend them for pregnant women and children. Even though many essential oils are 100% pure and are from the natural therapeutic grade, ingesting essential oils is not recommended because each essential oil has its special chemical characteristics, and when certain oils are combined with medications, they can be unsafe for ingestion and harmful to the human body. However, children aren’t the only ones who are at risk from ingesting these oils. Due to the many chemicals and constituents which make up these substances, when combined with certain medications they can become dangerous. While the interactions between essential oils and various medications is the subject of ongoing research, there are many possible combinations which haven’t yet been explored. What is known is that blood thinning medications should never be used in conjunction with essential oils such as wintergreen, as the blood can thin too much, resulting in bleeding internally. Every constituent that is found in these oils will affect the body in some way. The exact manner is being studied by doctors and scientists, and until more is known, it is better to err on the side of caution. It only takes one bad reaction or one over-dosage to result in severe injury, illness or death. The liver must process everything that the body consumes, and the danger of ingesting essential oils is that it may have to work harder than usual, which can lead to serious problems. Children and the elderly are most at risk from ingesting these substances, but The Plant Guru advises that people of all ages should still take precautions against ingestion. All our oils are 100% pure and natural therapeutic grade, pesticide-free, with no carrier or synthetic added bases or chemicals added to them. Essential oils are very concentrated and can cause severe damage if not administered properly. This is supported by the International Federation of Aromatherapists. The Leading Aromatherapy Associations (Alliance of International Aromatherapists (AIA), International Aromatherapy and Aromatic Medicine Association, Aromatherapy Trade Council, and others) all state that essential oils should not be taken internally (regardless of purity or origin) unless under the guidance of a healthcare practitioner trained at an appropriate level. As essential oils are a good source of several bioactive compounds and possess antimicrobial and antioxidative properties, they are used as natural additives for food products, for shelf‐life extension purposes. Essential oils are also known to be incorporated into packaging, i.e. smart or active packaging. Essential oils are known to have a shelf life of up to five years. However, it depends on their contents. For example, oils with oxides and monoterpenes last between one and three years. Oils with phenols may last up to three years. Essential oils with esters, monoterpenols, and/or ketones usually last longer. The truth is that ‘aromatherapy’ and essential oils are not the same as milk or bread, which follow a predictable and rapid path toward spoiling over a known period of time. The shelf life of a natural oil is governed by its chemical stability, and anything that interferes with this stability will cause the oil to start the slow, but inexorable process of deterioration. Heat, sunlight and air can all have a detrimental effect on the chemistry of essential oils, carrier oils, and mixtures of both such as massage oil blends. In addition, the complex and varying chemistry of natural essential oils means that the rate of deterioration will be different for every individual botanical species of oil, even when kept under ideal conditions. This means that some oils will last far beyond what many books claim, whilst others may deteriorate earlier than stated. To help you with all of this, these basic guidelines will show you how to extend the life expectancy of all of your essential oils, carrier oils and massage oils. You have invested your money in all your aromatherapy products, so it certainly makes sense to look after them properly thereby ensuring their therapeutic properties are not weakened or lost. The safest rule of thumb is to never use any essential oils in their undiluted form. Some individuals may experience severe sensitivity when the oils are applied topically to their bodies neat. Some of the essential oils you should never apply neat include peppermint, cinnamon, lemongrass, citronella, cloves, thyme, and more. Many aromatherapy practitioners believe that only the following essential oils should be used undiluted: Lavandula angustifolia, Melaleuca alternifolia, Helichrysum italicum and Chamaemelum nobile. Given the list provided, it would make sense that many other essential oils of similar chemical make-up should also be considered safe for undiluted application when done under proper conditions by a trained and knowledgeable therapist or individual. Specific essential oils that tend to be safe to apply undiluted include tea tree (Melaleuca alternifolia) **Be sure it has not oxidized!, lavender (Lavandula angustifolia), helichrysum (Helichrysum italicum), Roman chamomile (Chamaemelum nobile), rose (Rosa damascena), and sandalwood (Santalum album or Santalum spicatum), Cypress (Cupressus sempervirens), Eucalyptus (Eucalyptus radiata or globulus), Bay Laurel (Laurus nobilis), etc. etc. It is important to only use a small amount (1 to 2 drops) of essential oil. Other essential oils may be used for reflex or acupressure points, however care should be taken in selecting essential oils, and essential oils that can be irritating, sensitizing, or are rich in aldehydes or phenols should be avoided altogether for undiluted application due to dermal irritation or sensitization which may occur. Safety note: Some individuals within the aromatherapy profession are quick to point out that it would seem to be more prudent to err on the side of caution due to the litigious society in which we live. From the author’s point of view, we have included undiluted application because it has some valid uses, however it is up to the individual practitioner to decide whether this method of application is right for them and/or their client. Please note that we are not advocating the wide spread usage of undiluted essential oils, but rather simply to find a middle ground. It is not never applied undiluted NOR is it to apply undiluted essential oils with abandon. One must always have a purpose, a reason for doing so that is based upon the safety of the individual essential oils being utilized. It is recommended that you store newly bought essential oils in a cool dry place. These products should not be exposed to direct, harsh sunlight and other heat and light sources. You may keep your essential oils in kitchen or bathroom cabinets. Yes. You may store your essential oils on a bookshelf, provided that it doesn’t get direct sunlight. If you fail to remember this, your oils will begin to spoil much sooner than they should due to the action of them continually heating up and cooling down. Once the process of deterioration has begun it cannot be stopped, and like a chain-reaction, it gathers speed according to the intricate balance of the oils chemical constituents. This is why dark colored glass bottles are used to package essential oils since they offer some protection to the oil from the sun’s harmful ultra-violet light. However, these simple house-keeping practices must still be observed if the bottles are to have any chance of doing their job properly. Leaving any oil, in any colored bottle, for any length of time in the sun is condemning it to an early death! Here are some basic guidelines giving an indication as to the length of time a given oil should remain in good condition. Just remember these can only ever be basic guidelines and not firm, fixed periods after which the oil should be considered to have expired. There are simply too many variables for this to be considered an exact science. Calmly retrieve a lint-free cloth and gently swab the eyes. The lint-free cloth should also be dipped in vegetable oil. Depending on the essential oil you are using, some of them may be more irritating than others, e.g. cinnamon bark. If you are experiencing extreme discomfort, you should visit your physician. Essential oils, in their concentrated form, can sometimes cause problems. Hence, it is strongly recommended that you dilute any oil applied to the skin. You should keep in mind that each individual oil has their own sensitivities. Even if you are planning to apply Lavender or Tea Tree oils, make sure you conduct a patch test. When exposed to the correct aromas, you can breathe more deeply, improve your digestion, recover faster from an injury or illness, boost your memory, and more. Smell is the most influential sense you have. It has a direct effect on your brain as well as the programming of your energy level, memory, and emotions. Also known as essential oil therapy, aromatherapy can be understood as the art and science of using naturally extracted aromatic essences from various plants. The purpose is to promote, harmonize, and balance the health of one’s spirit, mind, and body. Quality assurance is of paramount importance when you are buying essential oils. Plant Guru is committed to supplying our valued customers with the most therapeutically active and purest essential oils. You can rest assured that both our aromatherapy products and essential oils are manufactured from sustainable sources such as ecologically grown raw materials. Essential oils can be applied to one’s body in several ways, including ingesting it, inhaling it, or applying it to the skin. Within each of these options, there are also various kinds of application methods, including massaging the oils into the skin, through baths, sprays, and compresses. One of the quickest way to experience the therapeutic benefits of essential oils. This method is highly beneficial for helping headaches, sinus, and respiratory ailments. Persons with asthma or epilepsy should avoid inhaling essential oil. Caution: This method of use should only be done with oils that can be safely applied to the skin. Apply 1-2 drops of oil to the palms, rub together gently and inhale deeply. This is an excellent method of use for a quick and easy exposure to the anti-microbial and other therapeutic uses of essential oils. For best therapeutic experience adding essential oils to a hot, soothing bath can create such a relaxing experience. Aromatic baths are excellent for skin problems, circulatory problems, respiratory symptoms, stress, nervous tension, insomnia, muscular and menstrual pains. Caution: overuse of essential oils in the bath can cause irritation. Use only mild, non-irritating oils for bath, such as lavender oil and clary sage oil. Massage is one of the most beneficial methods of using essential oils because it combines the therapeutic powers of the essential oil with the benefits of touch therapy. Diffusers and Aromatherapy go hand-in-hand. Adding essential oils to a diffuser effectively introduces the therapeutic properties and fragrance to any environment. Yes, certain aromatherapy products and essential oils can be ingested. Like any other powerful synthetic pharmaceuticals, such oils should always be ingested with caution and only for very short periods of time. To be safe, make sure you consult a certified aromatherapist beforehand. There are many different reasons to use essential oils. Some reasons include aiding healthy skin, boosting stamina, promote mental sharpness, helping overcome stress, cure minor skin irritations, brings about a sense of well-being, and many more. If you want to improve the overall quality of life and health, using essential oils is the way to go. There are a few general pros and cons that apply regardless of the essential oil you choose to go for. First off, always be on the lookout for signs of a pure, high quality and therapeutic grade essential oil. What you settle on should be medicinal and more importantly, steam distilled. Then when it comes to use, avoid applying essential oils directly on your skin unless the product package indicates that you can use it topically on your skin. This is because essential oils should first be diluted with carriers like jojoba, almond or water. You should also avoid ingesting essential oils. There are of course, edible essential oils. They are the exceptions. But even then, always check with your doctor to ensure that the essential oil will not interfere with your other prescriptions as well as overall health. Essential oils are packed with so many healthy nutrients. You need to know what you want to get out of a product, to know which essential oil you should go for. To make your work easy, simply identify the nutrient you need the most then go for an essential oil that is rich in that nutrient. Essential oils mainly work in three ways. They can be ingested, inhaled, or applied topically to the skin. If it’s topically applied, here’s how it works: The human skin is somewhat permeable. It can absorb the active chemicals found in essential oils. You can say that they work similarly to common pharmaceuticals such as nicotine patches and hormone replacement therapy cream. The human skin is highly permeable. This makes it easy for the active chemicals in essential oils to be absorbed into the skin. Note that you have to follow directions for use even for essential oils that can be applied topically on your skin. That is because different oils work differently. For example, some oils should be applied at specific locations near sweat gland concentration and hair follicles so as to increase absorption rate and expedite relief. Others can only be effective once you massage the targeted area before applying. You can inhale essential oils such as eucalyptus through the nose or mouth. Once inhaled, the molecules in the essential oils are carried to the lungs where they get absorbed into the respiratory system. Relief can be instant depending on how effective the essential oil you choose to use is. This is the least popular way of using essential oils. It should however be noted that essential oils meant for ingestion work just as the ones meant for skin application and inhalation do. The only thing that differs is the dosage. Again, that is why it is important to always read and stick to directions for use on any essential oil. They get absorbed fast once ingested and may affect the kidney or liver even with a slight overdose. With that in mind, avoid ingesting essential oils without your physician’s approval. There are various ways to extract and manufacture essential oils. Manufacturers often choose a method based on the plant’s chemical make-up. Some of the options include using carbon dioxide, chemical solvents, enfleurage, expression techniques, and distillation. A still is used during the distillation process, wherein a grid is placed inside. Through this sealed still, water or steam removes the hazardous particles. These hazardous particles are fed into a condenser through a feeder pipe, wherein the vapors are cooled back to liquid form. Because essential oils and water are not soluble, the essential oils will float on the surface and can be easily extracted from this blend. There are a few distillation methods used to make essential oils. Water is the only medium used mostly with flowers as the use of steam will cause the flowers to wither away and hamper the making of essential oils. The most common method is the use of steam along with water. Normally, this method is used with leaves and herbs. In this method, the material is placed above the water on a grate and an indirect source of steam is laundered to make essential oils. In another method, only steam is passed into the still at a higher temperature and pressure than the previous two methods. Percolation is another essential oil extraction method developed during recent times and is very akin to steam distillation. Unlike in steam distillation, the steam is injected from the top rather than the bottom and is also for a shorter period. Percolation is used to make essential oils from seeds like dill or fennel, or from tough woody materials. Everybody reacts differently to essential oils. That’s why it is important to listen to your own skin and body. If something doesn’t feel right, that product may not be suitable for you. Consult a certified aromatherapist or essential retailer to find out how will it work best for your unique skin type. For children and infants especially, due caution has to be exercised when it comes to the selection and usage of essential oils. Essential oils, such as peppermint essential oils, should be refrained from use in children of less than six years since research shows that breathing can be affected due to the presence of menthol in peppermint. For children under two years old, it is good to keep the dilution ratio not exceeding 0.25%. It is also advisable to keep the essential oils in a safe place away from the reach of children to prevent accidental ingestion. For seniors, some of the highly recommended essential oils include lavender, lemon, eucalyptus, and rosemary – all of which are great to induce a sense of well-being. Seniors are also more prone to aging pain and inflammation; certain essential oils do a good job of relieving the symptoms because of their anti-inflammatory and analgesic properties. Even if you are pregnant, you can use essential oils. It is known that some midwives use extremely gentle essential oils such as lavender and olive oils to help the mothers relax during child labor and also after childbirth. It is recommended that you research on suitable essential oils for certain age groups so that you can make the most of essential oils. Essential oils are generally safe because studies have shown very few risks and negative side effects. It is important that you use the essential oils as directed. When used correctly and within stipulated guidelines, they can be a potent, healing tool in natural medicine and more. The first thing you need to keep in mind is the directions for use when it comes to different essential oils. For example, some essential oils (such as cinnamon bark, clove, and thyme) are best inhaled as opposed to being applied directly on the skin. Always following the recommended application method to ensure safe usage of essential oils. Next, it’s important to stick to the recommended dosage. Treat your essential oil as you often do with prescription drugs. This is critical as it determines whether or not you will enjoy the desired results. If you use essential oils in overly high concentration or wrong dosage as indicated on the instructions, this can have adverse effects on your health. Therefore, always know the recommended dosage for safe usage. Another key pointer you need to know is to dilute your essential oils as per required. In fact, most essential oils cannot be applied directly on the skin unless they have been diluted. Top tier essential oils come as highly concentrated and that’s why you will need to dilute the essential oils to use them safely. Generally speaking, as long as you don’t ingest essential oils and use them externally in low concentrations, essential oils are pretty safe for usage. When you use essential oils for inhalation, perform inhalation intermittently for not more than 15 minutes. On the other hand, when applied directly on the skin, make sure that the concentration is 5% or below. Yes, it is possible to find many cheap essential oils that are 100% pure. 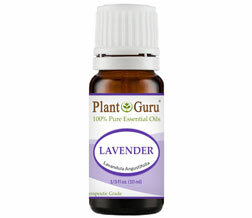 At Plant Guru, you can find a wide selection of essential oils that suit any budget. You can rest assured that the products we carry are of the highest quality. They have been tested and proven safe for regular use. For example, you will need 1000kgs of the Lemon Balm plant to distill just 1 litre of pure Lemon Balm oil. The cost of production here is simply expensive so the essential oil will be costly. By comparison, you will need just 30kgs of Eucalyptus leaves to make 1 litre of pure Eucalyptus oil. In short, these variations affect prices directly. Different plants have different amounts of essential oils that they use as ‘energy reservoirs’ to metabolize and adapt to changing weather conditions. For example, lack of adequate sunlight reduces the amount of essential oils can be distilled from a plant. So a year without enough sunlight where a plant used to make essential oils grow may mean low yields. Harvest may therefore vary every year depending on weather conditions. That explains why a particular essential oil may be cheap this year and costly the next year. Some essential oils can only be extracted through complicated procedures. A good example is Jasmine essential oil which cannot be extracted using stream distillation like other oils. Its extraction procedure features use of solvents. This eventually affects its price as the extraction procedure is time consuming and costly. Essential oils are concentrated hydrophobic liquids that contain volatile aroma compounds extracted from plants. These oils are often used in aromatherapy or as a form of alternative medicine. For many years, essential oils have provided a wide range of health benefits to its users, including a stronger immune system.